A lot of research has been performed about the potential health benefits of coffee. Experts believe coffee can help hold off serious illness and possibly prevent or delay the onset of Alzheimers. 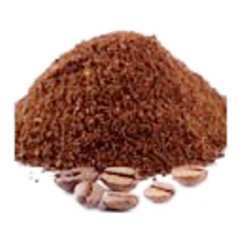 Additionally, scientists have studied coffee hair growth benefits during the course of their research. Ongoing research demonstrates that coffee is loaded with disease fighting antioxidants. The high temperatures used during processing churn out more antioxidants from the bean according to Food Research International. The darker the roast, the more benefits you receive. In fact, whether you’re drinking coffee for your health of brewing it for it’s coffee hair growth benefits opt for French roast or espresso. A study published in the International Journal of Dermatology (Volume 46, Issue 1, pages 27-35) addressed coffee hair growth benefits as a possible stimulant for hair follicles. The study found that caffeine works by blocking the effects of a chemical known as DHT which damages hair follicles and is thought to cause Male Pattern Baldness (MPB). Dr. Fischer conducted his study by taking scalp biopsies from men in the early stages of hair loss. He extracted hair follicles from the 14 men in the trial and placed them in test tubes with solutions containing different levels of caffeine. The hair samples were left in the lab for up to 8 days to monitor the growth results. When Dr. Fischer compared the hair follicles treated with caffeine against those that weren’t, he discovered some interesting results. The average growth of the follicles treated with caffeine increased by around 46 per cent compared to the control group. In addition, the life cycle of the hair treated with caffeine was extended by 37 percent. Caffeine boosted the length of the hairs by between 33 and 40 per cent.